The new McLaren 720S has joined the P1 hypercar in the LEGO Speed Champions range of model cars. The LEGO Speed Champions McLaren 720S, accompanied by a car designer minifigure and design studio desk, complete with coffee cup, original design sketch and 3D-printed model car, will be available to buy from 1 June. The real McLaren 720S was unveiled at the Geneva Motor Show, introducing the second-generation of McLaren's Super Series. Powered by a new, twin-turbocharged 4.0-litre V8 engine developing 720 horsepower, the new McLaren supercar accelerates from standstill to 124mph in 7.8 seconds and has a maximum speed of 212mph. 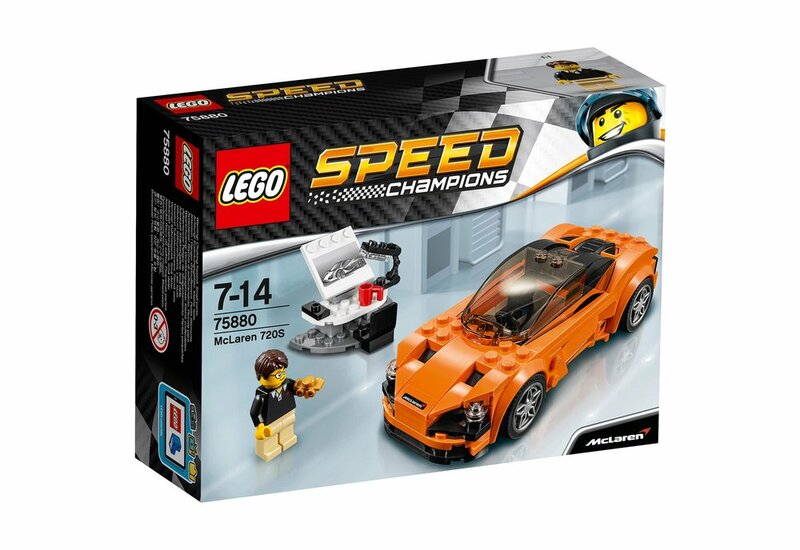 The LEGO Speed Champions McLaren 720S will be priced at £12.99, aged 7+. The new McLaren 720S available from McLaren retailers is a little more expensive, with prices starting at £208,600 OTR.